I will definitely start paying more attention to my Pinterest boards. Last year we did our first big city senior portrait location shoot in downtown San Francisco and got some killer images of the Atascadero High School girls that joined us. Everyone's favorite location was graffiti alley, in the sketchy Mission District. I pinned a few of the photos to my Senior Portrait board and one of them went viral. In the last 30 days this photo has been repined 53 times and has been seen by almost 10,000 people on Pinterest! We are currently planning our next Big City San Francisco senior portrait shoot and will be looking for three lucky high school seniors to go with us. If you know a 2017 high school senior that might be interested have them contact the studio now. 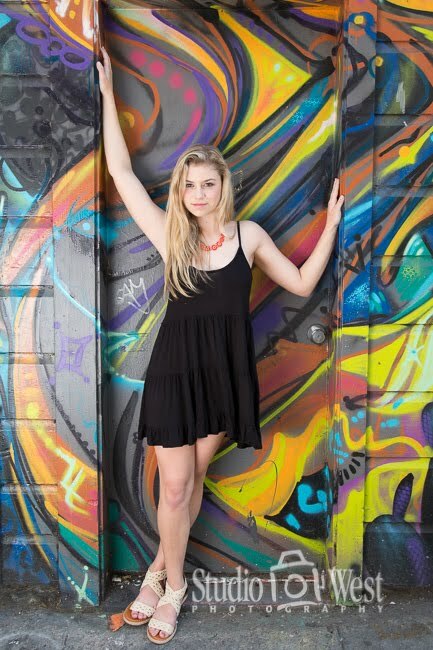 Click Here to see more of last years San Francisco senior photo shoot.